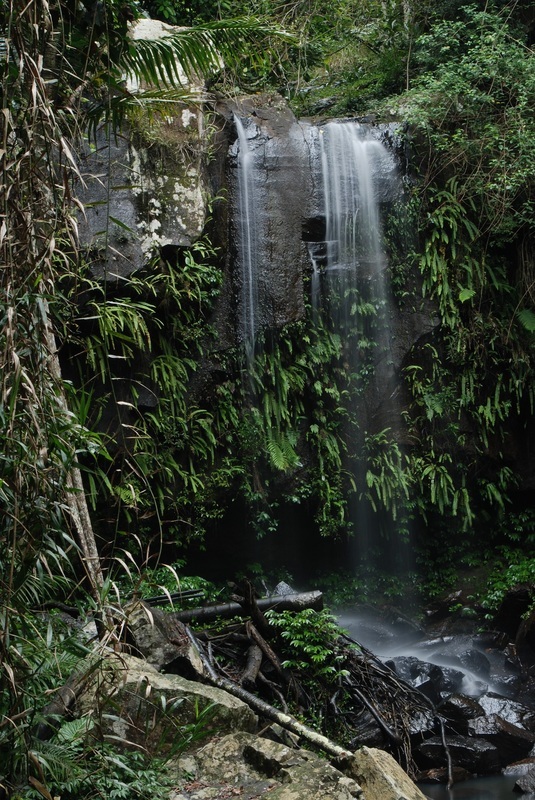 World-heritage rainforests, glow worm caves and soft adventure plus cool mountain-top villages with galleries, wineries, cheesemakers and snug cottages are dotted around Mt Tamborine. Heart-pumping theme parks, high-rise, glitz and no glamour are considered by many to be the quintessence of the Gold Coast. Maybe true near the Glitter Strip but 30 minutes away, west of the steel and glass towers there’s a quiet, more refined aspect. Head to the hinterland hills where the ancient volcanic ridges, national park wilderness, world heritage rainforests, and the mountain-top villages of Mt Tamborine are a breath of fresh air - literally. The main street is jam-packed with galleries, art and craft shops, cafes, a brewery, wine centre and temptations such as fudge and hand-crafted cheese. Get a bird’s eye view of the lush rainforest on the Tamborine Rainforest Walk, which soars 30 metres above the valley, has spectacular views and the gradual descent gives way to rock pools and waterfalls. Try chocolate liqueur, Moulin Roos absinthe and lemon myrtle leaf vodka at the internationally-awarded Tamborine Mountain Distillery, one of only a handful of privately-owned distilleries in Australia. Michael and Alla Ward use a traditional pot-still and local fruit to produce a range of liqueurs, schnapps and spirits in hand-painted bottles. Stop for a coffee at the Mount Tamborine Coffee Plantation and Gallery Café run by Kees and Maria van Rijssen who recognise the value of the super-rich soil, as does Meredith Morris, owner of Witches Chase Cheese Company, who sources all her milk from a herd of local jersey cows. A must-stop is Witches Falls Winery cellar door where winemaker Abbey Nicholas could tempt you with a tipple of pinot noir. 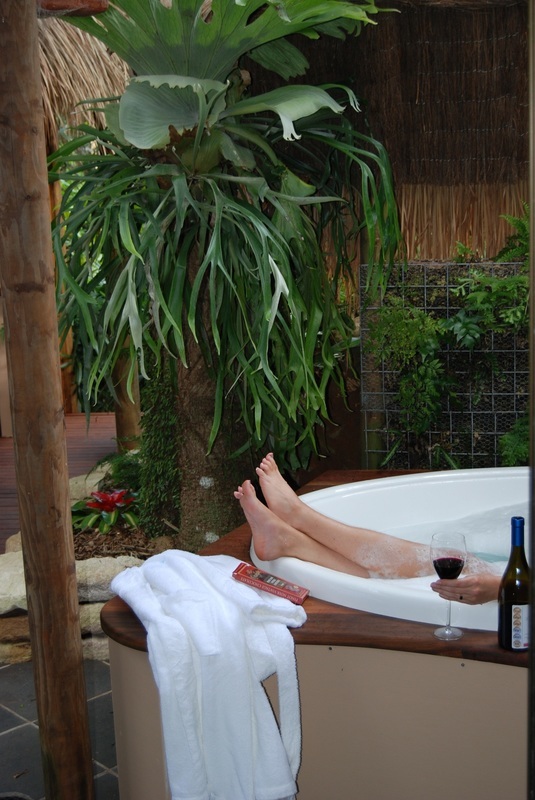 Nearby in North Tamborine, abutting Queensland’s oldest national park, nestled among scented secluded gardens, towering rose gums and bird-watcher’s paradise is Witches Falls Cottages. 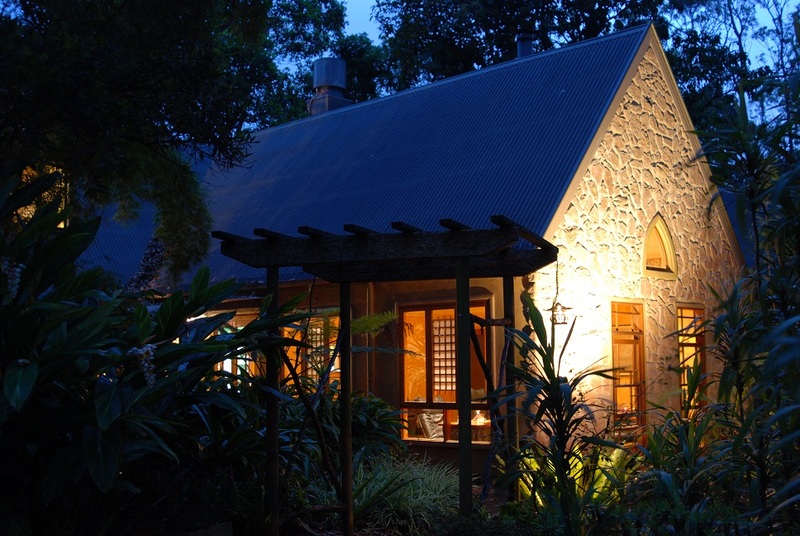 Meeting convivial hosts Daniela and David and deciding on breakfast and dinner options, before opening the door of your home-away-from-home, a stone-gabled cottage with a bull-nose verandah, you quickly realise this getaway will be everything you’ve dreamed about and more. Charming throughout, there are timber floors on split levels, a private courtyard garden with barbeque, a fireplace for chilly winters, aircon for summer and the romantic double spa bath is surrounded by full glass walls and roof. Sipping bubbly and star gazing is recommended! Accoutrements such as chocolates and liqueur are a fitting finale to the delectable dinner prepared at your leisure from the supplied basket of first quality produce. Ditto the oven-fresh home-made bread delivered to your door the next morning. Celebrating? Why not take it up a notch with a Ripple massage for two. A professional massage therapist arrives at your door, ready to turn the living room into a relaxing spa then promptly send you on a heavenly pampering path. Options include Russian deep tissue to unlock knots; rich Honey to nourish; and a decadent Wicked Chocolate for chocoholics who don’t want the kilojoules. 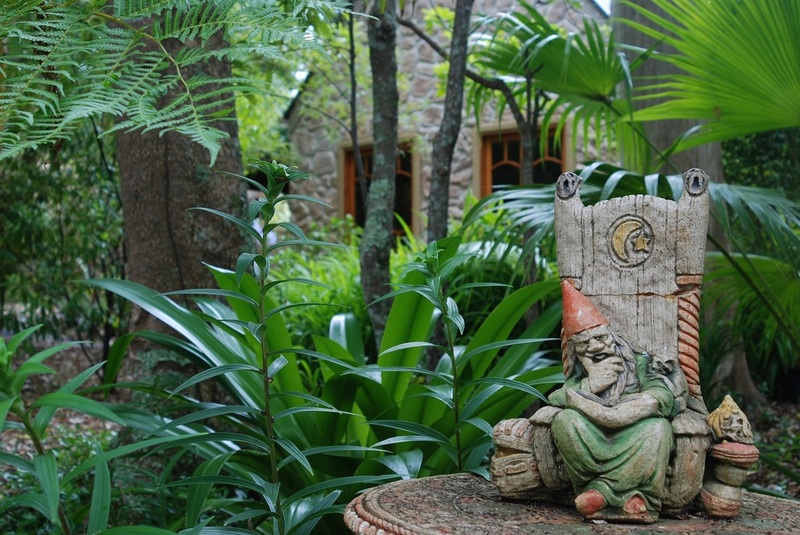 Experience the magic of Mt Tamborine. There’s a bewitching ripple effect all year-round. A professional massage therapist arrives at your door, ready to turn the living room into a relaxing spa then promptly sends you on a heavenly pampering path.